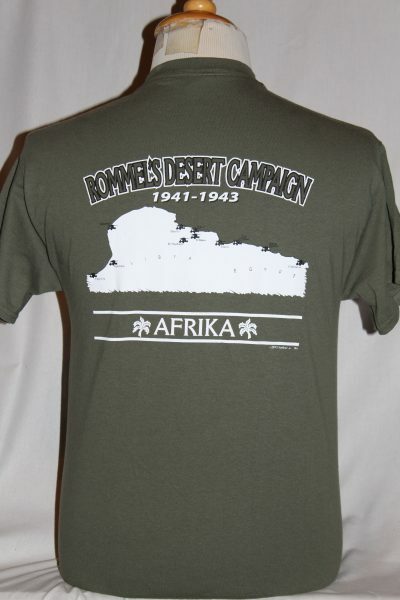 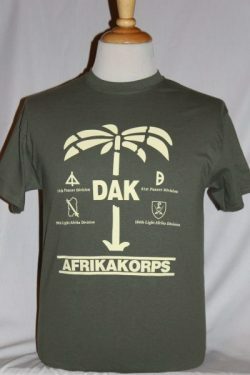 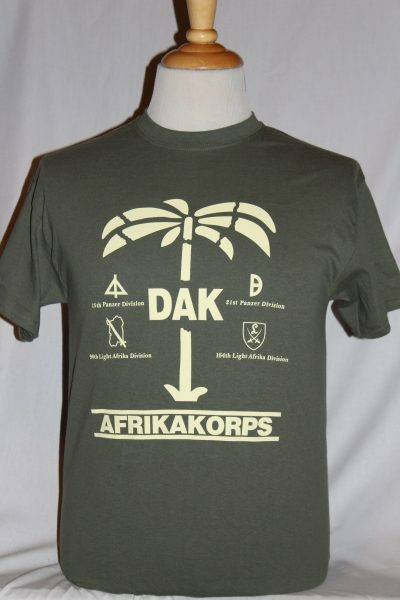 The Afrikakorps Rommel's Dessert Campaign T-shirt is a two sided print in Military green. 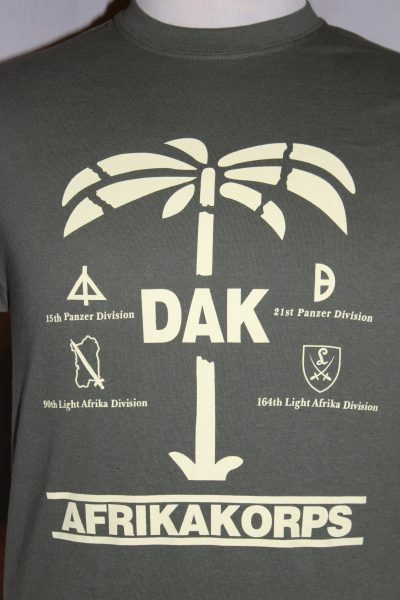 Front Design: Afrika Korps Palm Tree and 4 major division insignia's screened with the Afrika Korps cuff band below. 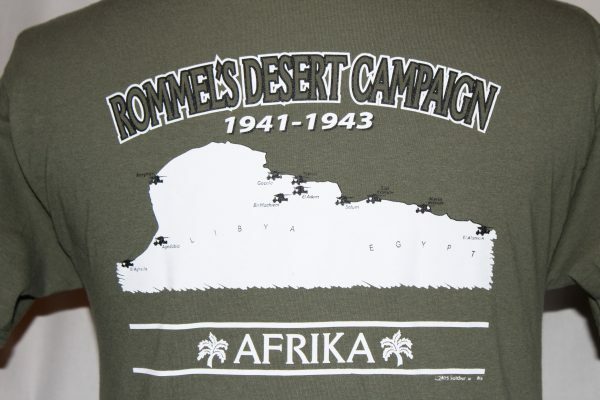 Back Design: Rommel's desert campaign map of North Africa with battles areas highlighted with an 88 Flak Gun silhouette.